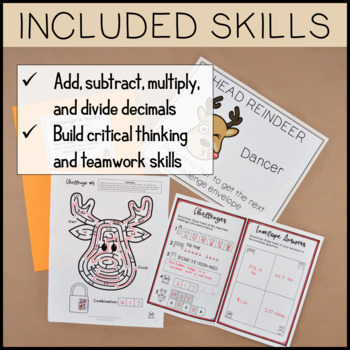 Looking for a fun way to review your reading and math standards right before winter break? 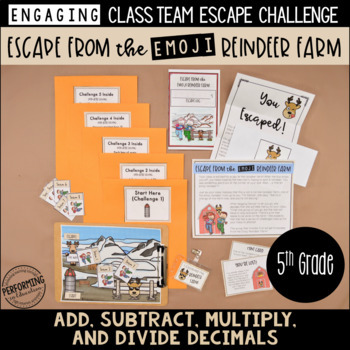 Check out this winter escape room bundle for 5th grade! These two games are incredibly fun, and can be done on the same day, or separate days.Want a preview of my escape challenges in action in the classroom? 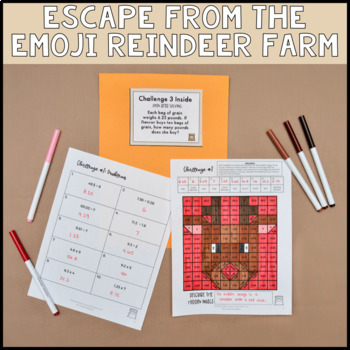 This winter math Christmas escape room is a great game for reviewing decimal operations like adding, subtracting, multiplying, and dividing decimals. 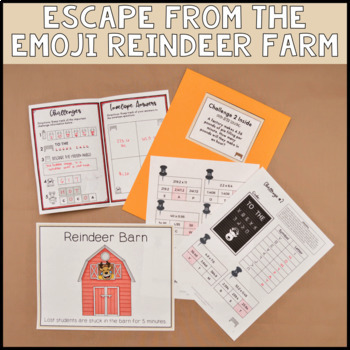 It is reindeer-themed, not Christmas-themed, so it can be used with all students. This resource is geared towards 5th grade (depending on your standards). Please see below for a list of the specific standards it covers. Click here to find other grade levels and other 5th grade topics.